Water is the essence of life, except for when it isn't. In some instances, people need to stay as far away as possible from certain bodies of water, and here are the deadliest that the planet has to offer. 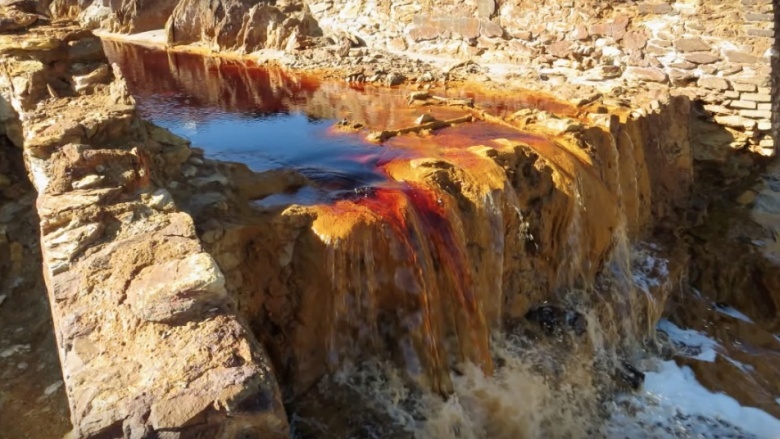 Andalusia, Spain's Rio Tinto is a toxic mix of heavy metal mining byproducts and acid drain-off. Since about 3,000 BC, the areas around the river have been mined for their rich deposits of gold, silver, copper, and other precious minerals. The end result is the technicolor waters that run 62 miles to the Gulf of Cadiz. Surprisingly, though the waters are too dangerous for humans, they aren't devoid of life. Extremophile anaerobic bacteria, which are bacteria that don't need air and are capable of living in extreme conditions, live in Rio Tinto, feeding off the sulfide and iron in the riverbed's rocks. The presence of these tough-as-nails microbes has attracted the attention of astrobiologists, who believe the river's out-of-this-world conditions are analogous to other worlds, like Europa and Mars. 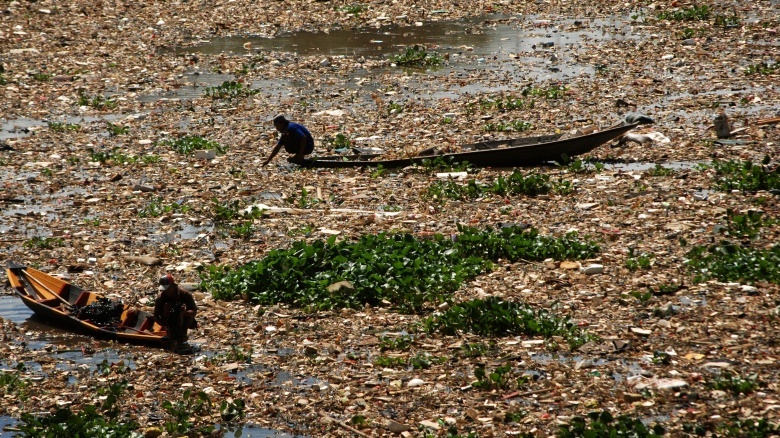 The water supply for about 28 million people, the Citarum River in Indonesia is also one of the world's most polluted rivers, if not the most polluted. 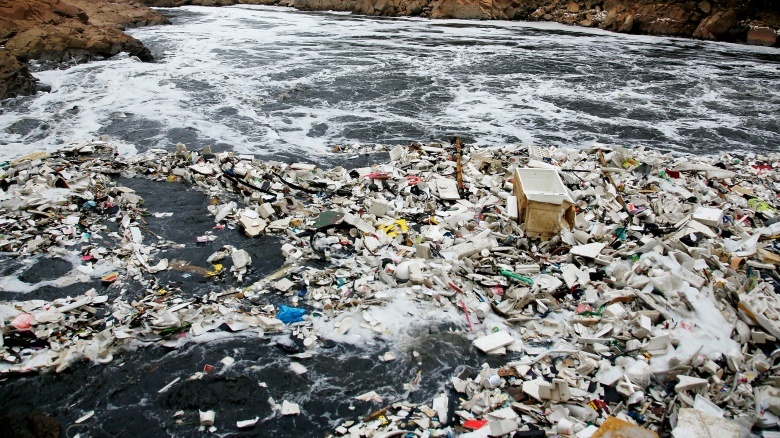 This is because hundreds of different industries have made a habit of contaminating this water, dumping in waste from textile manufacturing, garbage, and humans. The river feeds into rice paddies, and the water gets collected and boiled for cooking and drinking. Families that once earned a living from fishing have switched careers, and now salvage the river for tradable goods like plastic bottles, rubber gloves, and even broken chair legs. But the river's outlook isn't completely grim. In 2011, a 15-year, $4 billion rehabilitation project began to save the river and the people who depend on it. Here's to hoping that'll be money well spent. 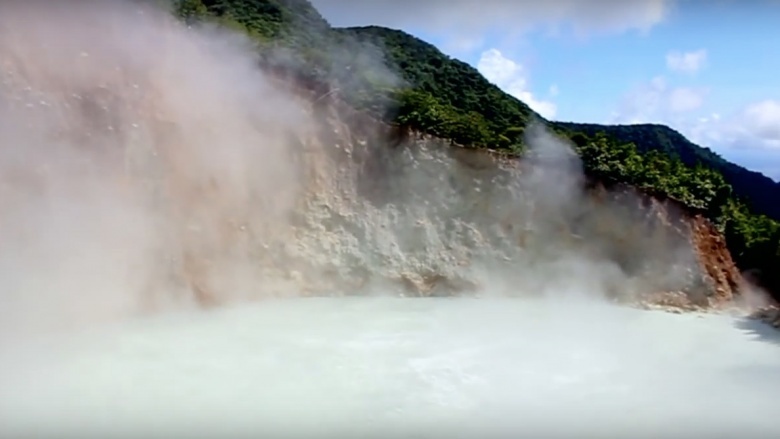 Though it's only the second-largest natural hot spring in the world, Dominica's Boiling Lake is the hottest. Located in an area known as the Valley of Desolation, Boiling Lake reaches temperatures ranging from 180 to 197 degrees Fahrenheit. (That's 82 to 92 degrees Celsius for our metric friends.) That's just from around the edges, by the way, as no one has ever gotten close enough to measure the temperatures at the center of the lake. That's also just when there's water in the lake as, at times, the water levels drop dramatically, only to refill rather quickly. All this craziness results from volcanic pockets in the region. Truly, this lake is too hot to handle. 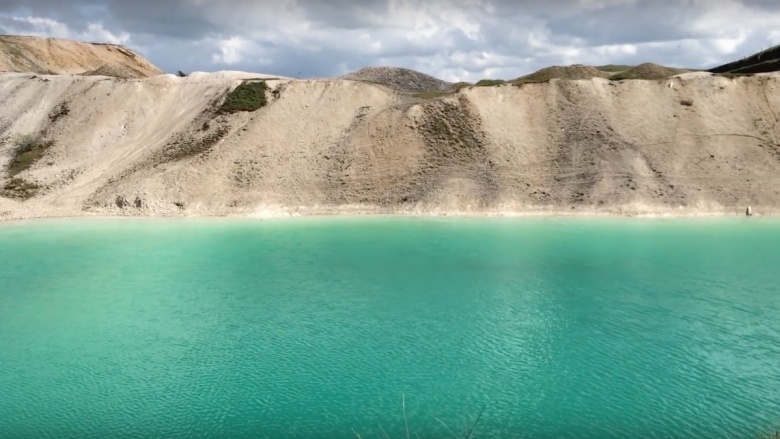 Britain's Blue Lagoon, originally called the Far Hill Quarry, isn't really a lagoon. It's actually a—you guessed it—former quarry that's been flooded since closing, and it's the last place you'd want to go swimming with Brooke Shields, or anyone for that matter. The water's blue coloring comes from the toxic chemicals found in the rocks, which give the lagoon its 11.3 pH level. To give you an idea of how bad that is, ammonia is 11.5 pH, and bleach is 12.6. On top of that, the water also contains garbage, excrement, and dead animals. Still, for some reason this hasn't deterred people from taking a dip in there. The water has been dyed black a few times to try and get the message through, but the water always clarifies. We bet the Brits don't feel too jolly because of that. 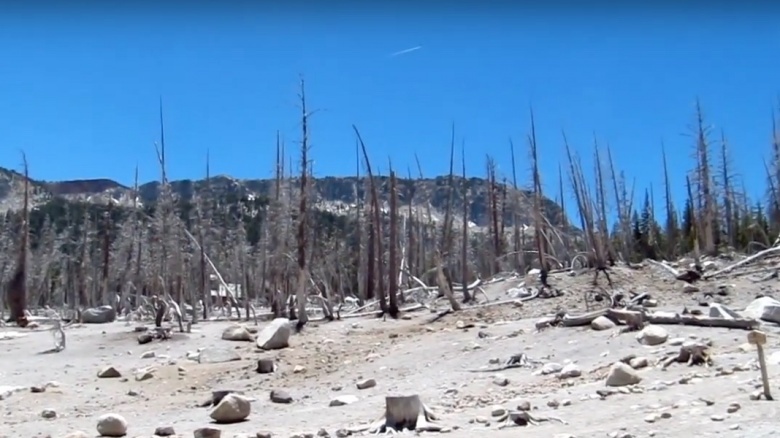 California is the home of sun, surf, and poisonous lakes, like Horseshoe Lake, located in the Mammoth Lakes area of Mono County. Horseshoe Lake teems with highly concentrated carbon dioxide and hydrogen sulfide, a toxic cocktail of poison that hasn't only killed 170 acres of trees, but also humans. In 1998, they killed a healthy, 58-year-old hiker, and in 2006, the gasses took out three ski patrollers. The noxious air is the result of underground volcanoes riddled throughout the area—a deadly tag team that definitely makes this a place best admired from as far away as possible. Also located in California, Mono Lake is one the the US's oldest lakes, and one of its deadliest. With no outlet, large amounts of salts have been deposited in the lake, making it almost three times as salty as the oceans and giving it a 10 pH balance. 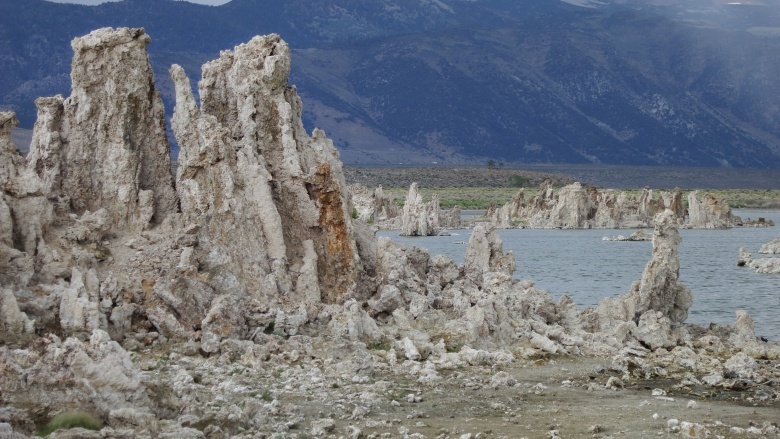 While all this salt has resulted in some amazing tufa columns—basically, natural limestone deposits—it has also made the lake a tad dangerous. Brine shrimp, flies, and a certain type of algae are the only things that live there, and any birds that live around there won't live for very long if they decide to take a sip. Of course, the lake isn't always toxic, as the toxicity varies depending on the water's depth. Mono Lake visitors can use the number of dead birds scattered along its shores as a macabre determining factor. 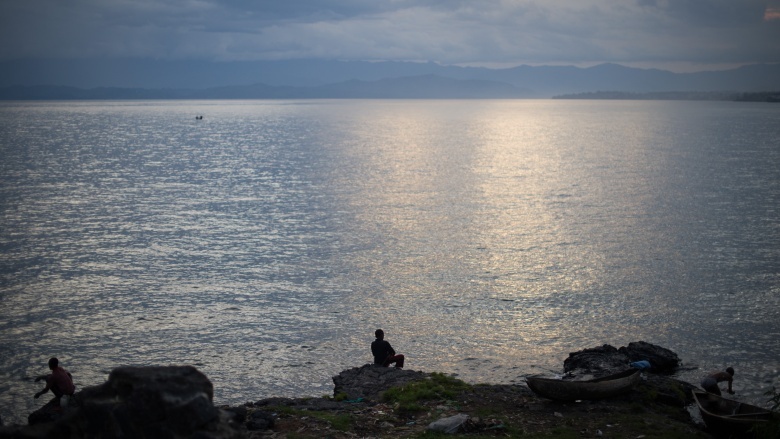 Lake Kivu isn't dangerous just because of its location—it's deadly because of the huge methane gas and carbon dioxide deposits trapped beneath the lake. As it is, the gases are fairly harmless, but all it would take is some agitation from, say, a volcanic eruption to set off those gasses. And there are many volcanoes in the area, making Kivu a ticking time bomb, and a danger for the millions of people in its vicinity. Or an explosion could be triggered by some disturbance, from an attempt to extract those gasses. Luckily, plans to extract those gasses are currently underway. To be fair, the methane deposit beneath the lake is enough to solve Rwanda's energy problems, so it's not like anyone's doing it just for the money. But one wrong move and boom, there go several neighborhoods. Russia is known for great authors, cold winters and, unfortunately, nuclear disasters. 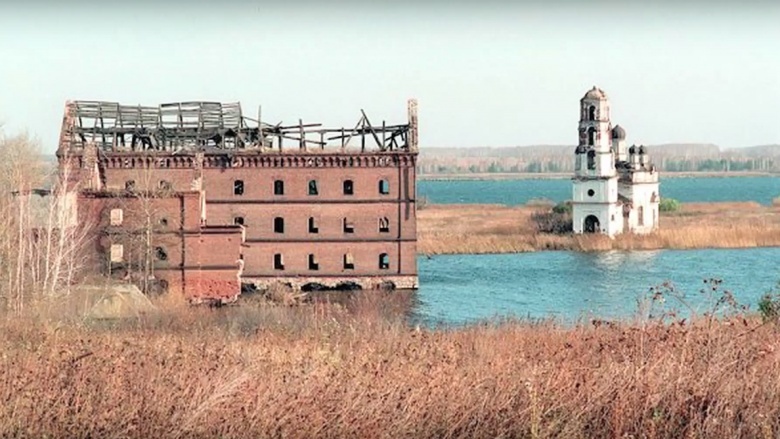 Now, it's on track to becoming known for radioactive water, and it's all thanks to Lake Karachay. Located in the Ural Mountains, it's also not far from the large, leaky Mayak Production Association, which just happened to once produce plutonium. In addition, Strontium-90 and Cesium-137 got dumped in there as well, a radioactive mix made further worse by the Kyshtym nuclear containment disaster in 1957 and the Chernobyl disaster in 1986. Because of all this, the lake is said to be more concrete than water, not that anyone can find out for sure. Standing by the lake for about an hour exposes anyone to a lethal dose of radiation, making this probably the deadliest place on the planet. It's definitely not the best vacation spot.